Hello! My name is Al Golub and I am based near Yosemite National Park. 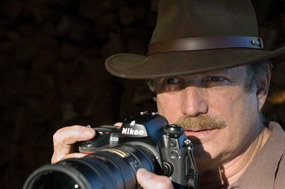 I have been a working photographer for 50 years. As a dedicated photojournalist, I spent most of my career at newspapers. I also consulted for Eastman Kodak for 10 years and did commercial photography as well. Now, I teach photojournalism at the local junior college, assist and mentor up-and-coming photographers, and do as much freelance photography as I can. The blog is a way to share my images and the stories behind each of them. I hope you find that my photographs speak to you. I also hope to hear from you so please feel free to leave comments! You can see more of my portfolio here. You can see my ever-growing archive here, where images are available for purchase and licensing.